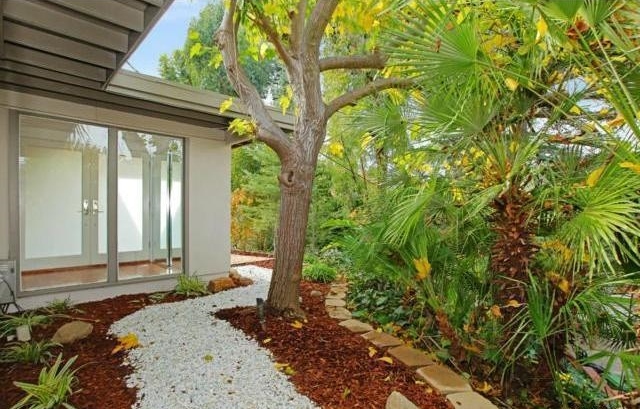 Into the woods...Turnkey Mid-Century Modern home, resting on over 1/2 Acre of mature oaks, elms and citrus grove. Secluded at the base of the Mountains in a highly sought after prime location. Floor to ceiling windows and an open floor plan make this an entertainers' dream. 3 bedrooms plus separate office and 2 baths. Very private custom screened Lanai, perfect for Al Fresco dining. 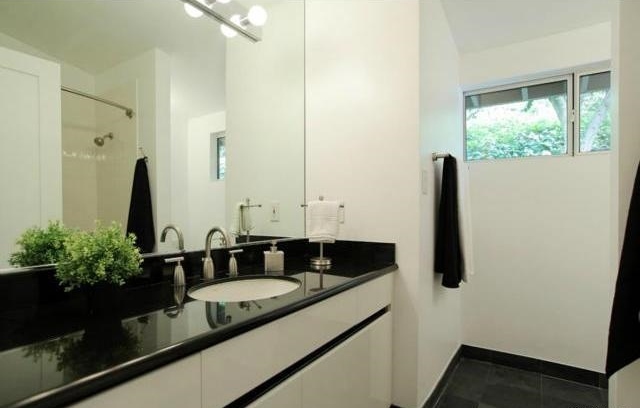 Utmost attention to detail make this a truly one of a kind home. Brand new paint inside and out, new fixtures throughout and custom doors. Updated wood and slate flooring, custom European kitchen and bathrooms. An extremely rare opportunity! Incredibly private setting and move in ready!